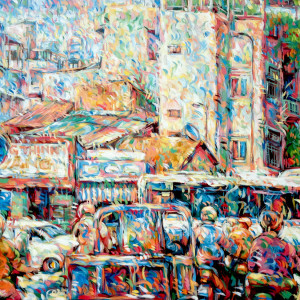 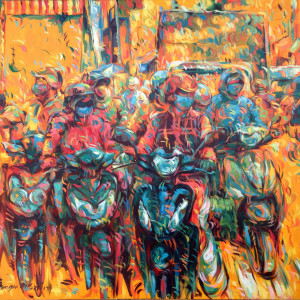 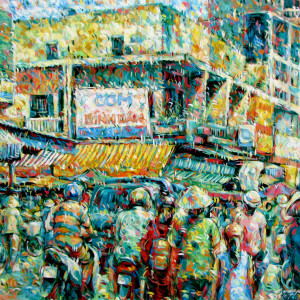 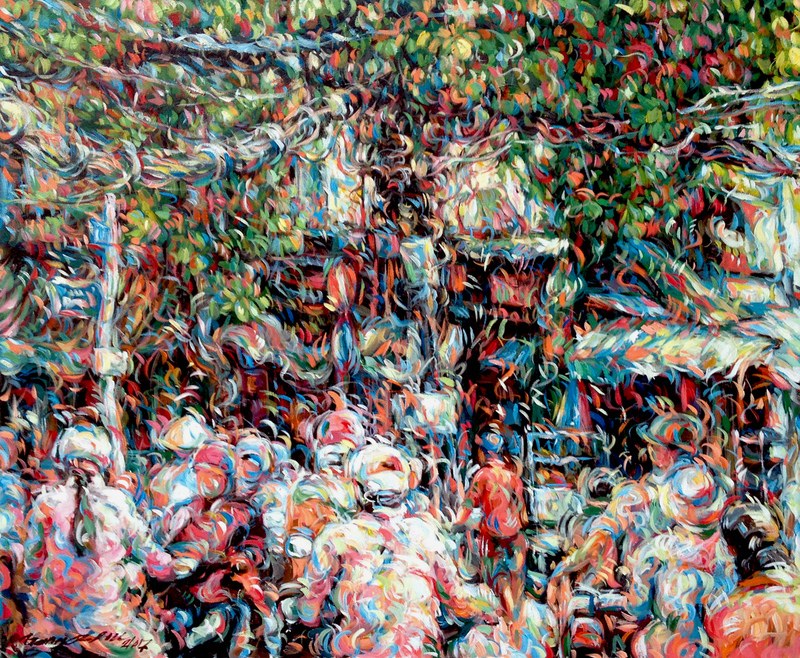 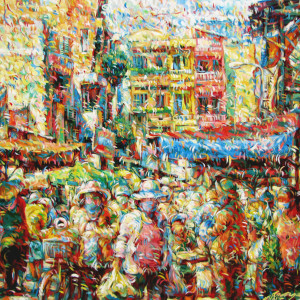 This is an abstract presentation of a common urban sight by modern Asian artist Tran Ngoc Duc. 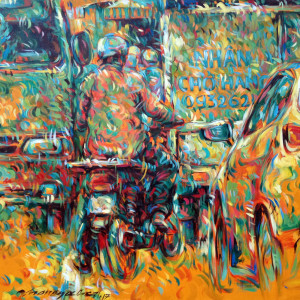 The busy street is full of people with helmets on two-wheelers, vehicles, street side shops, trees flanking the street, people walking, are all presented dynamically in movement. 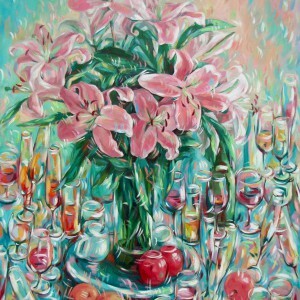 However, the entire composition is presented surrealistically with the deft brush work and clever use of colors.